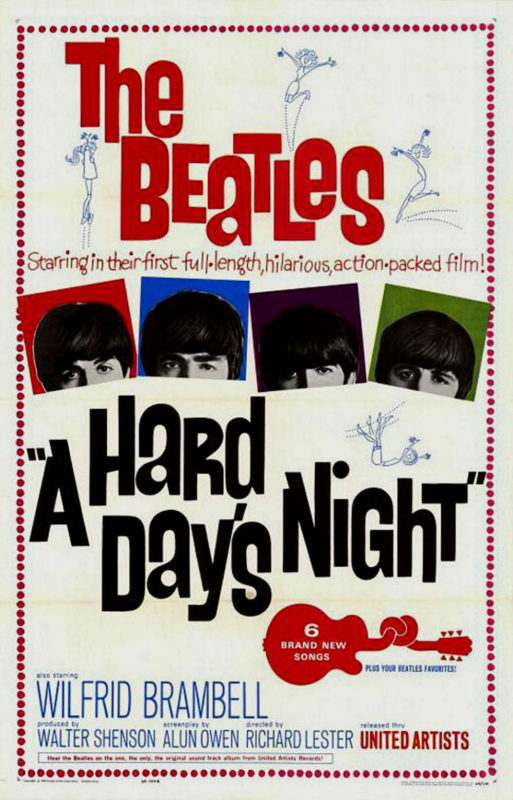 What’s craziest about the first Beatles movie, A Hard Day’s Night, or no, the first craziest thing about A Hard Day’s Night is that it was made in ’64, just about a year after the first Beatles album came out. 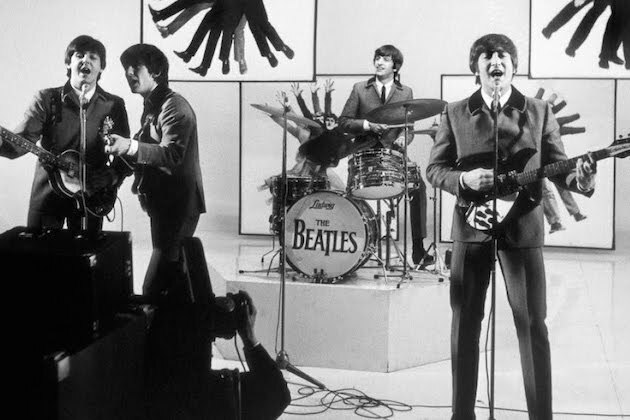 The concept of Beatlemania had existed for maybe eight months when they started shooting. The only reason it came into existence at all was because Capitol Records, the American arm of British label EMI, was terribly lax throughout ’63 in releasing the first two Beatles albums in the U.S., which had become huge hits in England when released in March and October. Not until January ’64 did The Beatles really take off in the States, with their Ed Sullivan appearances coming in February. So movie studio United Artists offered them a three picture deal. Their plan was to crank out a fast, cheap movie in order to score a soundtrack album. Whether or not the movie made money was irrelevant; it was all about getting an album out while Capitol slept. And in fact before the movie even opened they’d recouped its cost and then some from pre-sales of its soundtrack. 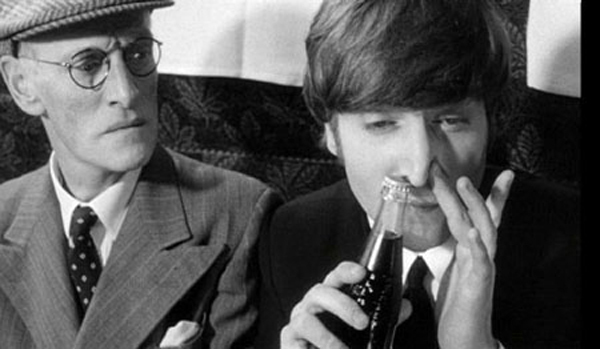 The next craziest thing about A Hard Day’s Night is that it was both a huge hit and critically acclaimed. It had no reason to be. The Beatles were a fad. A sudden and fairly inexplicable one that nobody in the business had any expectation would last more than a year or two. They were four daffy lads from Liverpool with funny haircuts loved by screaming girls. The movie itself mattered so little that UA let The Beatles pick who they wanted to direct it. They chose Richard Lester because John Lennon liked a short Lester had directed starring Spike Milligan and Peter Sellers called The Running Jumping & Standing Still Film. Lester had directed two features after that, so he wasn’t totally out of left field. The movie is totally out of left field. It has no story to speak of. But speak of it I shall! George, Paul, John, and Ringo, never referred to as The Beatles in the movie, escape from a horde of fans and board a train. With them is Paul’s grandfather. A trouble-maker, we’re told, though he’s quite clean. Which is a joke, repeated throughout the movie. Why? Because the actor playing him, Wilfrid Brambell, starred in a TV comedy at the time (Steptoe & Son) in which he was always described as “a dirty old man.” Ha ha! The beauty of it is that without knowing the reference, it works as just another of the many weird and random goings on. It’s funny because it’s not funny. Our heroes are sort of themselves, and also not, but actually completely so, because how do we know except for appearances like these? In short, they’re adorable. How likely is that? That these four dorky musical geniuses are also delightfully charming? It seems improbable, but there we are. They pull off the rare trick of being innocent cynics. They arrive at a theater where they’re to perform and be taped for a television show. Antics ensue, mostly incited by Paul’s troublesome grandfather. Songs are played, and they’re Beatles songs, so they’re great. 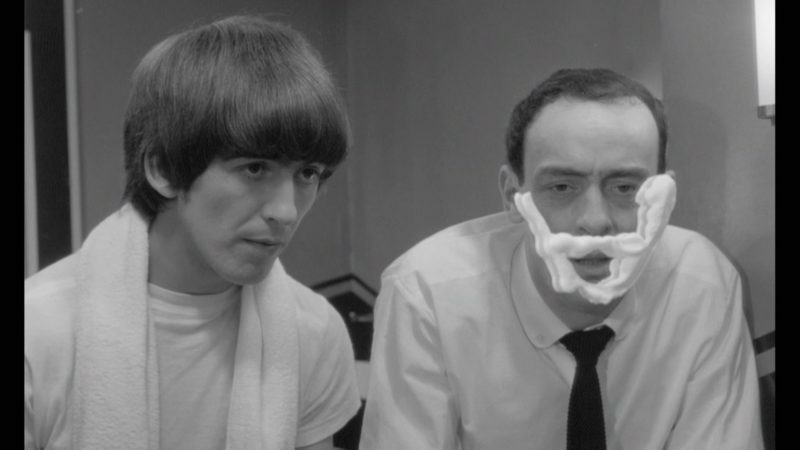 Lester and writer Alun Owen met The Beatles prior to writing the film, and knew instantly that this was the film: The Beatles dealing with fans, the press, and playing their songs. It wrote itself, claims Lester. Why take them out of their natural habitat? None of them were actors. Lester, as it would turn out, became a very unusual and influential director in the ‘60s. One of his biggest fans is director Steven Soderbergh, who wrote a book length interview with Lester (which you might read all about here). 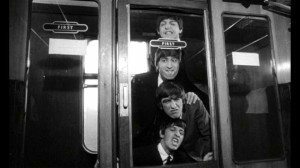 Lester’s style was to shoot fast, with handheld cameras, and to edit, in the case of A Hard Day’s Night, to the songs, so that scenes of The Beatles running all over town became the first music videos. Lester was inventive and daring with his compressed schedule and low budget, thus making a non-story starring four non-actors witty and original, in both style and content. And it doesn’t hurt that it’s full of Beatles songs. 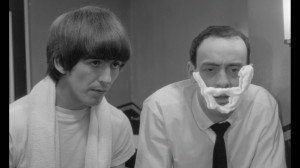 The last craziest thing about A Hard Day’s Night is that it’s still a great movie, and that if anything it’s grown in stature since its release. Movies starring popular bands have been made since, but they’re barely worth mentioning, let alone watching. Every one of them exists because of A Hard Day’s Night. An entire faux-band and their TV show, The Monkees, were invented because of A Hard Day’s Night. Not even The Beatles could top their own debut. Help! 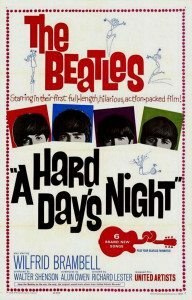 and Magical Mystery Tour and Yellow Submarine have their moments, some more than others, but none came together like A Hard Day’s Night. 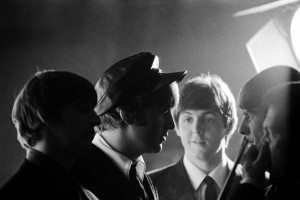 No, I am not the first to muse upon this, but ’tis nevertheless ever fascinating to muse upon the career trajectory of The Beatles, and how every rock band career cliché there is was in a sense invented by them first. They did it all first. And usually best. I mean really, they’re a huge thing for just eight months, a movie studio decides to cash in, a movie is written, shot, edited and released in only seven months, and it turns out to be the best movie starring a rock band ever made? Whose style influences movies and TV and music videos for years to come? Not bloody likely. It’s so unlikely I only half believe it’s true. It’s probably an elaborate prank of some kind. I can’t wait for the reveal. My little sister was obsessed with this movie when she was 4-5 years old and I was a teenager. The fact that she watched it at least twice a day for months and none of us really got tired of it is a testament to how good and fun a movie it is. Plus, those songs!